Sets are a cost efficient way to sample various shapes, sizes and grits. All are also sold individually, see "Related Products" below. All are mounted on 1/8" shanks. 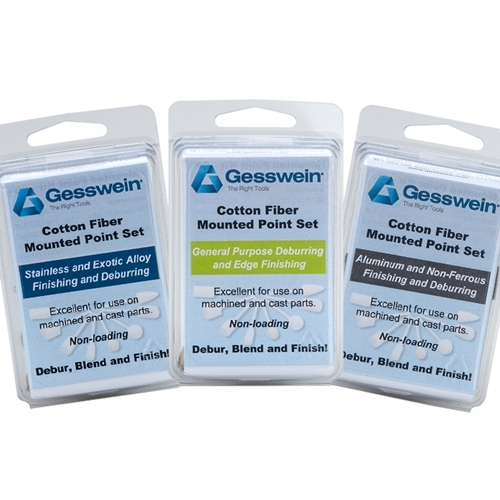 Each set includes 12 pieces: 6 shapes in both GMX (gray, soft latex bond) and G-Flex (brown, firmer resin bond). General Purpose B52 Bullet 80 3/8" x 3/4"
W154 Cyl. 320 3/16" x 1/2"
W163 Cyl. 80 1/4" x 1/2"
W177 Cyl. 180 3/8" x 3/4"
W185 Cyl. 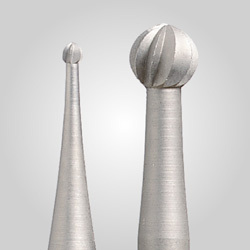 120 1/2" x 1/2"
Aluminum/Non-Ferrous B41 Cone 320 5/8" x 5/8"
B52 Bullet 120 3/8" x 3/4"
W163 Cyl. 120 1/4" x 1/2"
W176 Cyl. 180 3/8" x 1/2"
W185 Cyl. 80 1/2" x 1/2"
Stainless Steel B52 Bullet 80 3/8" x 3/4"
& Exotic Metals B122 Ball 80 3/8"
W154 Cyl. 120 3/16" x 1/2"
W177 Cyl. 120 3/8" x 3/4"
GMX cotton fiber products (gray) utilize a unique flexible bond with laminates of non-woven abrasive-impregnated fabric. 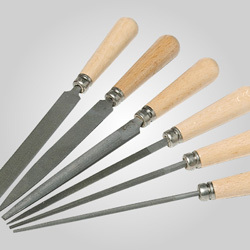 Laminations run parallel to the shank to prevent the ends from chipping. The construction continually exposes new abrasive grain for cooler running and the flexible bond reduces vibration and chattering. Unlike bonded or coated abrasives, GMX does not load up when working on softer metals or alloys such as aluminum. Cylinders and shapes can be dressed to conform to unique contours. GMX is excellent for breaking edges, deburring, and blending on aluminum, stainless steel, and exotic alloys. 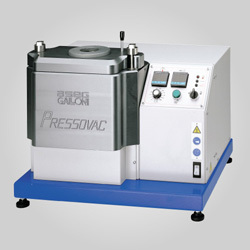 It's also ideal for polishing mold runners and mold & die components. G-Flex cotton fiber products (brown) are similar to GMX but use a firm resin bond. G-Flex is non-loading and can grind and finish in one operation. A special formulation keeps G-Flex from being too aggressive and works well on aluminum, stainless steel, and exotic alloys. Producing a slightly finer finish than GMX, G-Flex is another favorite for cleaning and polishing mold runners as well as deburring and edge breaking on all metals. Also works great for deflashing of die castings as well as deburring and finishing of turbine blade roots.